Latest UFO sightings – UFO photo of a strange unknown object in the sky over Barbourville in Kentucky. This was taken on Monday, 18th October around 6 pm. I was at Lat. 36°51’26.92″N Long. 83°51’8.40″W at a few moments after 6 PM EST Oct, 18 2010 looking north east…. Was taking photos of a local new grade school and saw a blur and nev er paid attention …when checking the images when I got home an object is in frame on one of the shots..
U.F.O. 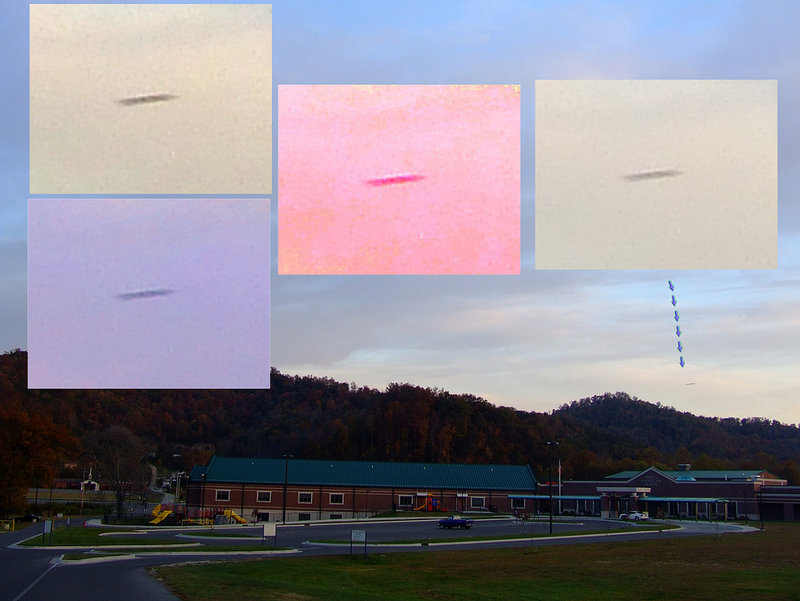 Barbourville / Kentucky: I saw the same object over EDVK and EDCA 2014. I have many experiences since 1992.